Holt Junior High school, in conjunction with Holt Public Schools, has developed a comprehensive behavior support system wherein students are held accountable for behaviors and negative behavioral situations are intervened upon with positive re-teaching and supports. This behavioral system, along with the tools and advice in Fay & Funk’s Love and Logic, have been successful for me this year. 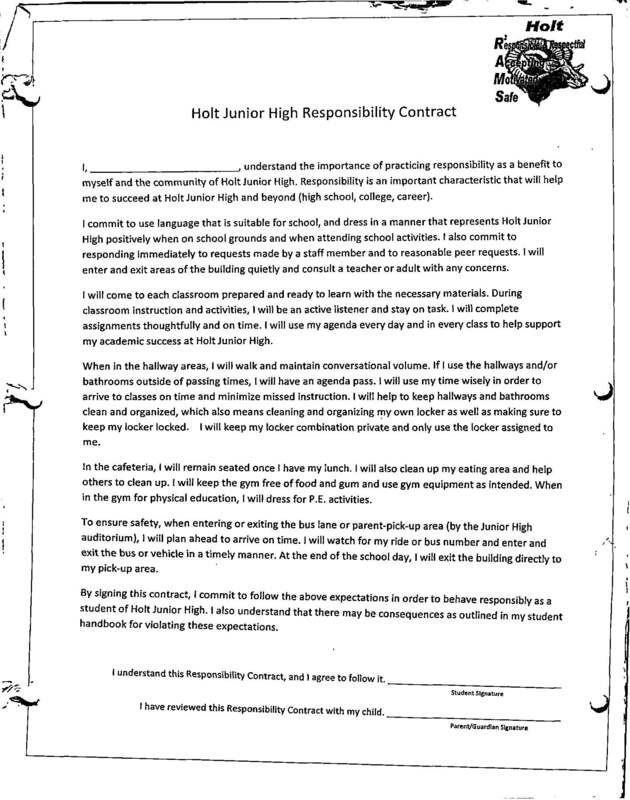 Another way in which students are held accountable for their actions is that they are held to a responsibility contract (below).